Being drunk and being productive is not exactly the most fortunate pair, is it? But quite surprisingly the two have a lot in common. For instance, when you’re drunk, you usually feel like the king of the world. You can do anything, achieve every goal, and so on … at least in your mind. The truth, of course, is exactly the opposite. And that’s quite similar to what happens when you’re working and feeling really efficient. Efficiency is the holy grail of most employees, entrepreneurs, other business people, and essentially everyone who’s not unemployed. So what’s the problem with efficiency? Well, just like being drunk, it’s an illusion. What’s your take on the concept of efficiency? Does my approach make any sense to you? 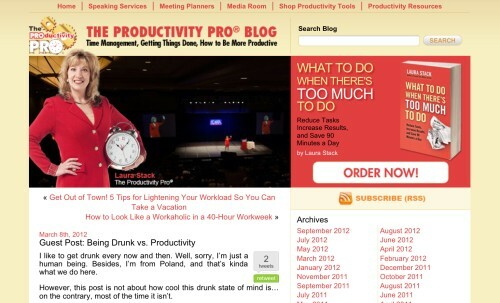 Finally, do you think that being falsely efficient can kill your productivity?